Texas Man To Serve 25 Years In Plot To Kill Saudi Ambassador : The Two-Way Manssor Arbabsiar, a naturalized U.S. citizen who has lived in Texas for three decades, has been sentenced to 25 years in prison for conspiring to kill Saudi Arabia's ambassador to the United States. Last October, Arbabsiar pleaded guilty to plotting to kill the ambassador. 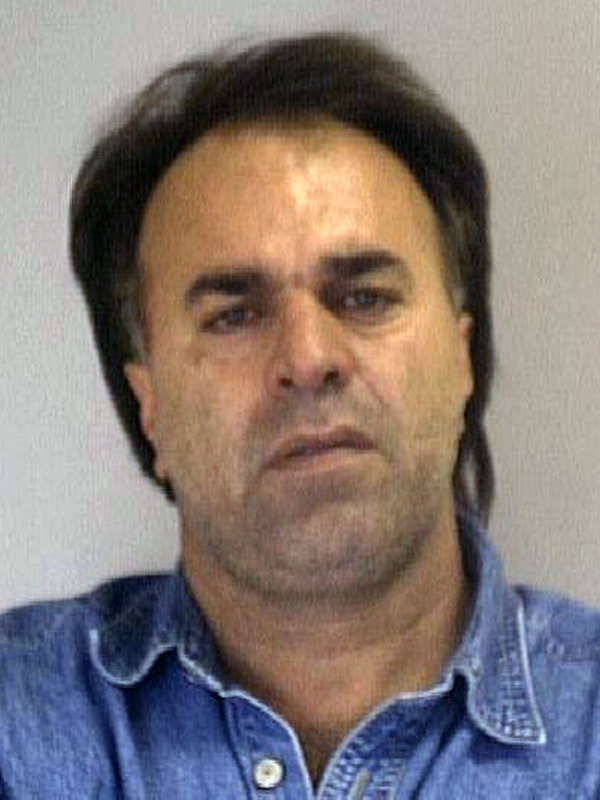 A 2001 photo shows Manssor Arbab Arbabsiar in a mug shot. Arbabsiar has been sentenced to 25 years in prison for plotting to kill Saudi Arabia's ambassador to the U.S.
Manssor Arbabsiar, a naturalized U.S. citizen who has lived in Texas for three decades, has been sentenced to 25 years in prison for conspiring to kill Saudi Arabia's ambassador to the United States. Last October, Arbabsiar pleaded guilty to plotting to kill the ambassador. He also admitted to working with Iranian military officials on the plan. The FBI said the plan was foiled after Arbabsiar traveled to Mexico to try to recruit out a person he believed was connected to a drug cartel, but who was actually a paid U.S. Drug Enforcement Agency informant. The agency said Arbabsiar agreed to pay the man and his associate $1.5 million for carrying out a plan to murder the ambassador during a visit to a restaurant in Washington, D.C. The plot caused Washington Post foreign policy columnist David Ignatius and other analysts to remark on how bizarre and sloppy it seemed, with Ignatius saying it more closely resembled an Elmore Leonard caper novel. But the government's prosecutors said the plot, which was never carried out, also had potentially serious consequences. "A large number of bystanders who had done nothing other than chose to eat in a particular restaurant were very likely to be killed as a result of the assassination of the ambassador," the government said, according to The Associated Press. "Nonetheless, Arbabsiar quickly dismissed the significance of those additional civilian casualties and on numerous occasions demonstrated a callous disregard for all those who would be killed." U.S. authorities said Ababsiar was recruited for the job by the Qods Force, a branch of the Iranian Islamic Revolutionary Guard Corps. An Iranian member of that group, Gholam Shakuri, also was charged in the conspiracy, but his whereabouts are not known. News of his arrest in 2011 came as a sharp surprise to many who knew Arbabsiar, who as NPR's Wade Goodwyn reported at the time "was a small business owner for much of his life. Friends say he liked to be called Jack." Those who knew him doubted "his religious zeal, his brains and his energy to carry something like this off," Wade said back then, after Arbabsiar was arrested. "That includes his estranged wife." The AP says his defense team had sought leniency, acknowledging Arbabsiar's crimes but also saying they were "the result of a severe mental breakdown caused by a longstanding, untreated bipolar disorder."